Dark maroon velvet blouse top features heavy zardosi work all over. Sweetheart neck; mid-length blouse; sleeveless. 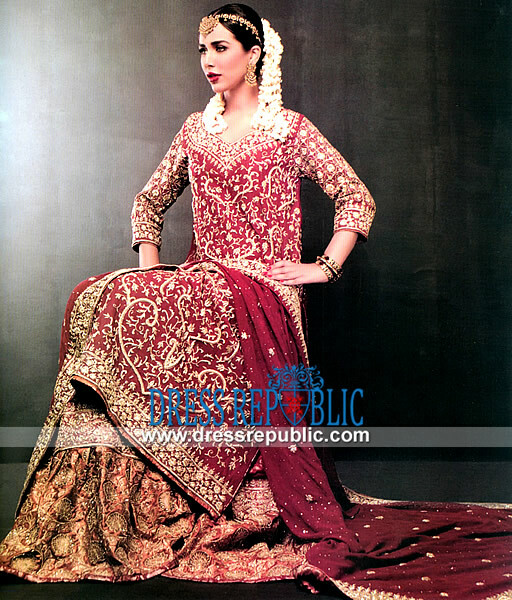 Velvet massive flared heavy embellished dupatta has floral, leaf, and zarodsi work all around. Finish with gold organza trim. Velvet dupatta shawl has small ornamental motifs and sequins shower in the middle. Finish with jamawar border. 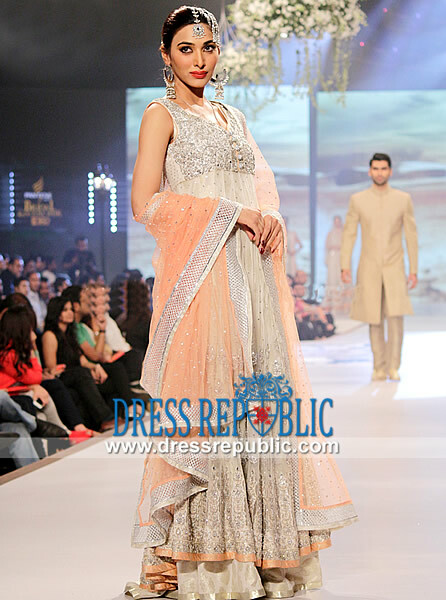 Decorative tassels hanged on all corners of the dupatta.